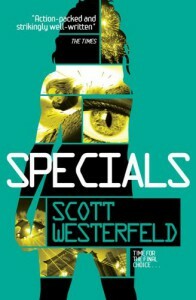 Specials was choc full of action and a great read, but (even though it couldn't really be helped), Tally was so frustrating in this book at times! So I had to reduce my rating a tiny bit from the first 2 books. Such a great series though. Highly recommended. I'll read Extras soon, hopefully.